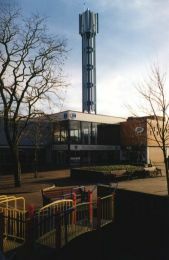 Picture of Nelson center (15 April 1998). Nelson, a Lancashire mill town named after the famous Admiral Lord Nelson. 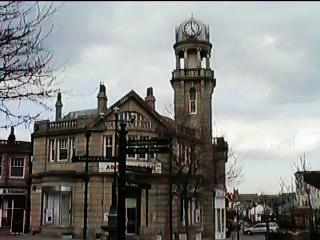 The town has many shops and businesses and is the seat of Pendle Council. Nelson was formed by the combination of Great and Little Marsden in the early 19th century. Nelson grew rapidly as a textile mill town. Marsden Hall, the former 16th century residence of the Walton family is located near the junction of Townhouse road and Boulsworth Crescent. 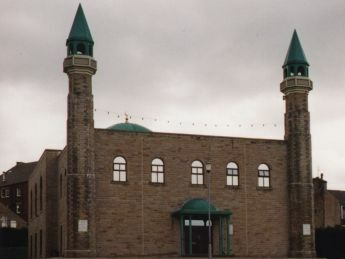 It is now a pale shadow of its former glory as parts of it have been demolished. 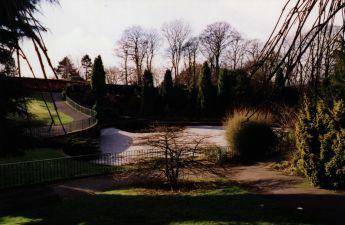 Close by is Marsden Park which has the only public open air swimming pool in Pendle. Also close by to Marsden Hall is Walton Lane Nursery School, one of Pendle's best schools for the education of 3 & 4 year olds. 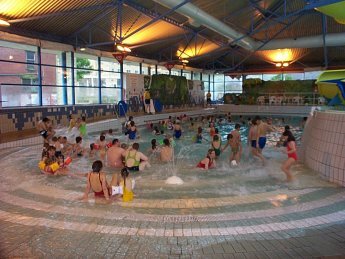 Wavelengths Leisure Centre Nelson Centre Great place to bring the whole family. Probably the best leisure/swimming centre for miles around. Picturesque Marsden Park Top of Walton Lane. 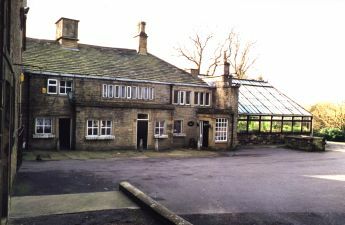 Old Marsden Hall (now a restaurant) is located very close to where this photograph was taken). 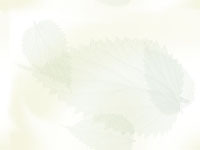 Walton Lane Nursery is just at the top of the park. Nelson Center Used to be called the Arndale Shopping Centre. Built in the 1970s and renamed in 1998, it contains many local shops. Boots the Chemists is on the corner and Woolworths is across the extensive pedestrianised area, near the children's playground.